Multi-functional is the name of the game. Turn a home office into a guest room. Turn a guest room into a craft room. Create more space for the kids to play. Get the most out your space when you turn to a More Space Place professional designer to create a custom design for your room. The very best way to learn more about More Space Place’s furniture and space saving solutions is to visit our showroom in Headquarters Village, and see our products in person. Open a Murphy bed. Take a look at countertop samples. Talk with an experienced designer. Take the first steps to maximizing the potential of your home. 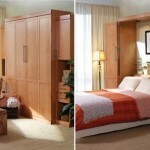 More Space Place is America’s #1 Murphy bed furniture retailer. We have elevated space-saving wall beds to new heights. Our bed designs’ concept is utilitarian, but lend an elegant and refined sense of style. Custom desks for home offices transform a spare bedroom to into an exceptional workspace. Need extra room to work without the space and trouble of adding a room? More Space Place has just the answer. 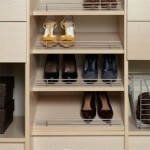 A new home closet system could transform the functionality of any room. The benefits of a well organized closet over a cluttered closet can be dramatic. 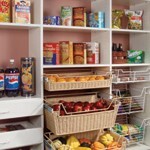 More Space Place offers a wide variety of closet storage options. Big screens, wide screens, plasma screens, projection screens… finding an accommodating piece of furniture to house it all can be a bigger feat than the picture itself. 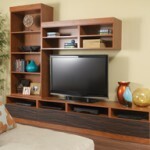 More Space Place has the answer with custom-built home entertainment centers. Our extensive design, manufacturing, and installation capabilities create product applications for almost any area in the home. Functional laundry rooms, heavy duty utility rooms or space saving pantries are a welcome challenge to our design consultants. 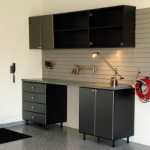 Just as with our other products, the More Space Place offers an extensive selection of garage cabinets and specialized wall-hung storage systems. 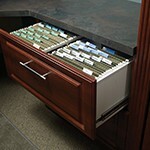 Ensure the success of your next project by creating an organized area. 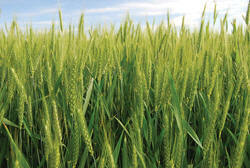 Added peace of mind stems from the environmental sustainability of More Space Place products. In addition to the innovative use of technology to minimize waste and reduce reliance on paper, we also use high-quality, durable composite materials as much as possible. Our composite materials are typically made from recycled and recovered wood. This means that thousands of trees are saved while at the same time making use of materials that would otherwise have been burned or sent to a landfill. In addition, as a member of the Composite Panel As actively participates in the EPP sociation, More Space Place (Environmentally Preferable Products) Downstream Program. This is your assurance that the composite products we use are certified by an independent laboratory to be 100% recycled or recovered wood fiber and to exceed the strict environmental standards set by the state of California.